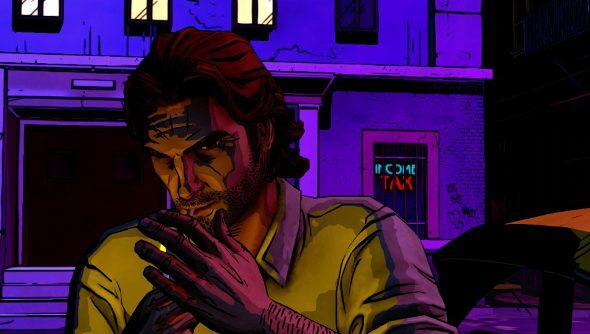 It was a little bit confusing when, yesterday, Telltale Games released the launch trailer for The Wolf Among Us’ third episode, A Crooked Mile, entirely absent an actual release date. The oversight has been rectified now however. On April 8th, that’s next Tuesday, The Wolf Among Us: A Crooked Mile will launch worldwide. Nice and soon, then. And here’s the launch trailer again. If you haven’t seen it already, it will seem like the right order of things has been maintained. With Bigby grappling with some serious stuff, it looks like his inner (and often not so inner) wolf is raring to come out in A Crooked Mile. In the first episode I got a bit carried away and generally played Bigby as an enraged animal, but I was left feeling pretty damn guilty. By the second episode, I was attempting to go down the straight and narrow, but it’s easier said than done. Have you lovely folk been playing good cop, or have you been indulging in Bigby’s darker, bad cop side?